End-of-Summer Tree Clearance Sale All Deciduous Trees* 40% off! With Saturday’s arrival of September, and the beginning of the end of summer at hand, the anticipation of fall begins to build as the heat slowly wanes. I will remember the summer of ’18 as reasonably mild; there have been many far hotter. I will remember this summer as one of projects, many projects. While I have not completed my extensive ‘to-do’ list, the increasingly comfortable climes that the ninth month offers are a welcome reality. There was a time in my life where I believed I would wish to live with warm weather year ‘round. The passage of time has bestowed upon me the gift of appreciation for seasonal changes. There is no seasonal change I enjoy more than autumn. Since fall is now nearly in reach, it is proper to think of tree planting. There was a time where trees could only be planted successfully in the fall; and only then after a ‘killing frost’ had occurred. 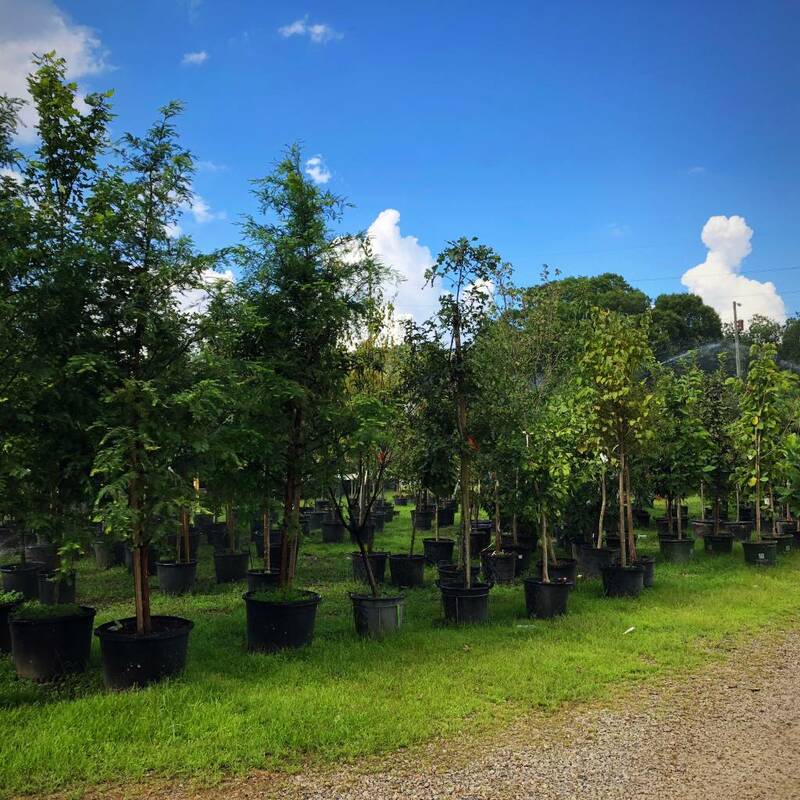 Trees needed to be completely dormant to insure best success when transplanted. Container-grown trees, like their shrubbery counterparts, are able to maneuver around what Mother Nature dictates. Since no roots are cut, they can be planted all year long with excellent success, so long as you keep them properly watered. I planted an Autumn Blaze Maple at my house back in late June; it has been a team effort for success. I did the digging and planting; Renée does the watering. It has been brought to my attention that we (at Bates Nursery) have a ‘situation’ at hand. We are hoping you can help us out and reap incredible savings while you’re at it. We have semi loads of trees arriving within two weeks. The trees we have on-hand are excellent in every way, but we have to clear them out to accommodate new arrivals. Here’s the deal: All deciduous trees* are now 40% off, while supplies last. Sale continues through September 6, 2018. We are CLOSED Labor Day!